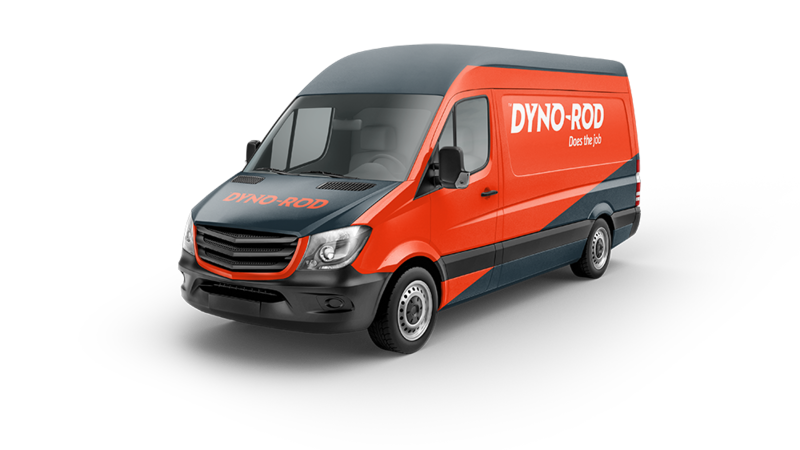 These terms and conditions apply to Dyno-Rod services. Please read this document carefully as it will tell you everything you need to know about the terms and conditions on which we will deal with each other. 1. We are Crowley Services Ltd. and Crowley Services Dublin Ltd. providing plumbing and drain services under the trade name Dyno-Rod. 2. It is our intention that all the terms of the agreement between us (including details of the services and any goods or materials we are to provide) are contained in this document and any quotation or estimate given by us to you. If you do not accept any of the provisions included in these Terms and Conditions please let us know so that if agreed your changes can be included. 3. Quotations and estimates given by us are valid for twenty eight days from the date they are given. However we may withdraw any quotation or estimate at anytime before it is accepted by you. 4. Where we have given you an estimate of the price payable by you for these services, goods and materials we are to provide, we will do our best to complete the work and provide the goods and materials for the estimated amount. However, the price payable by you may be more than the estimated price but we undertake only to increase the price by a reasonable amount which shall reflect the work done. 5.1 The price payable by you is the price stated as the Total Due overleaf; or where no price is stated, our current standard price for the services provided. Where no sum is included in respect of VAT the price stated overleaf shall be exclusive of VAT. We may increase the price payable by you to cover any increase in our costs in providing the services, goods and materials. 5.2 We will inform you in writing of any price increase made in accordance with clause 5.1 in which case you may cancel the agreement between us if you do not accept the new price. 6.1 We shall invoice you for the work undertaken and any goods and materials supplied immediately after the work is done and/or the goods and materials are supplied and the Total Due on the invoice shall be payable by you immediately. If you do not pay the Total Due immediately you must also pay us an administration charge of E10. 6.2 Where you do not pay us the Total Due within 15 days of the date of the invoice, in addition to the E10 administration charge set out in clause 6.1 above you must pay us interest on the outstanding amount at a rate of 2% per month or part of a month and this rate shall apply both before and after the issue of any legal proceedings we may take against you to recover any unpaid amount. You must pay us an administration charge of E20 in respect of each dishonoured cheque you give us. 7.1 Any date or dates included in our estimate or quote are estimated dates only and we shall not be in breach of this agreement for failing to start or finish work by any date given in our estimate or quote. 7.2 If we do not start or complete the work within five days of any date included in our estimate or quote you may nominate a date on which you want us to start the work or by which you want us to complete the work. If we have not started or completed the work by the date you have nominated you may cancel the agreement between us. 8. When we have completed the work and/or supplied goods and materials we shall invite you to inspect the work and/or the goods and materials and shall ask you to sign the invoice indicating receipt of the goods and materials and that the work has been done. Your signature on the invoice will not constitute acceptance of any work done or goods, and/or materials supplied. 9. We shall not be liable and accept no responsibility for unavoidable damage caused, or any unforeseeable loss you may suffer as a result of the work carried out, nor shall we be liable for any loss of any nature which is not caused by our negligence or our breach of the terms of the agreement between us. 10. You must let us know of anything which you believe may present a hazard or danger to any person carrying out work before such work is started. You must also make sure that we have clear access to any relevant drains and covers and provide us with a supply of mains electricity and water. If we incur additional work or expense as a result of your failure to provide us with clear access, mains electricity and water, we may charge you a reasonable additional sum in respect of such additional work and/or expense. 11. We offer a guarantee on all blockages which have been removed using high pressure water jetting of 28 days following works being carried out. This guarantee will not cover foreign objects, excessive use of hand/toilet paper, wet wipes or grease being the cause of the follow up call out within this period. In a case such as this, it would be considered a separate issue and full payment will be due for any work carried out. 11.1 In addition to your other legal rights we guarantee our workmanship against defects for a period of 28 days and guarantee any goods and materials supplied by us against defects in design materials and workmanship for a period of twelve months. If any payment due from you to us has not been paid you we may refuse to carry out any guarantee work until the outstanding amount is paid. 11.2 Our guarantee will not apply to goods and materials where faults are caused wholly or in part by your (or any other persons) misuse or neglect of those goods and materials or as a result of fair wear and tear or by any other reason beyond our control. Our guarantee will not apply to our workmanship or goods and materials supplied by us where after inspecting the site or the equipment on which you have asked us to work and after considering he work you have asked us to do we consider that we are unable to offer our guarantee in which case we shall inform you of our decision and indicate overleaf that our guarantee does not apply. 12. Neither we nor you shall be liable for any breach of our respective obligations under the agreement between us where either of us is unable to perform those obligations because of a reason beyond our control. 13. You will be liable for any losses or damages (including damage to our equipment) which we suffer as a result of either your negligence or your failure to observe any of your obligations under the agreement between us. 15. Please allow 10 working days prior notice for works to allow for procurement of materials and scheduling of labour. 20. Should the only option to clear a blockage be to use high pressure water jetting on a line that is charged (filled with liquid <50% of it’s volume), Dyno-Rod drain services will not be liable for any damages caused as a result of any flooding due to improper connections failing, restricted access, or improper pipe fittings used on the system we are performing works on. As the pipework in question is not always visible, these contributing factors cannot always be identified prior to works commencement and should be treated as a hazardous defect. 1. The following clauses only included in our TERMS AND CONDITIONS FOR CONSUMERS set out across apply to and are expressly incorporated into these Terms and Conditions: 1, 3, 4, 5.1 6.1, 7.1, 9, 11.1,11.2 and 13. 2. 1 These Terms and Conditions shall prevail over all others including your own and together with any quotation or tender given to you by us constitute the entire agreement between us and supersede and cancel any previous agreement or understanding. You acknowledge that in entering the agreement between us you have not relied on any representation or understanding (whether oral or in writing) which is not included or referred to in this document. 3 Where in accordance with clause 5.1 above we increase the price payable by you by more than 10% in which case you may cancel the agreement between us if you do not accept the new price. 4 Where you do not pay us the Total Due within 28 days of the date of the invoice in addition to the E10 administration charge set out in clause 6.1 above you must pay us interest on the outstanding amount at a rate of 2% per month or part of a month and this rate shall apply both before and after the issue of any legal proceedings we may take against you to recover any unpaid amount. You must pay us an administration charge of E20 in respect of each dishonoured cheque you give us. 5 When we have completed the work we shall invite you to inspect it and to sign the invoice and your signature will constitute acceptance of the work we have done and of any goods and/or materials we have supplied. 6 You must let us know of any dangerous gases, liquids or other materials or of anything which you believe may present a hazard or danger to any person carrying out work before such work is started. You must provide us with all the necessary details in respect of any relevant requirements specified by the Factory inspectors or similar regulatory authorities. You must also make sure that we have clear access to any relevant drains and covers and obtain all necessary consent from third parties to ensure that we have such clear access. You must provide us with a supply of mains electricity, water and cleaning facilities. If you have a plan which shows any relevant drain layouts you must provide us with a copy before we start work. If we incur additional work or expense as a result of your failure to observe your obligations set out in this clause we may charge you an additional sum in respect of such additional work and/or expense. 7 We offer a guarantee on all blockages which have been removed using high pressure water jetting of 28 days following works being carried out. This guarantee will not cover foreign objects, excessive use of hand/toilet paper, wet wipes or grease being the cause of the follow up call out within this period. In a case such as this, it would be considered a separate issue and full payment will be due for any work carried out. 7.1 Other than as expressly provided for in these Terms and Conditions no other warranty guarantee or other term relating to the provision of services whether implied by statute, common law or otherwise is given. No warranty, guarantee or other term relating to qualify or fitness for purpose is given in respect of goods and materials supplied by us but we shall where possible, assign to you the benefit of any warranty, guarantee or indemnity given to us by the persons supplying the goods to us. 8 We shall have no liability to you for any loss, damage, costs, expenses or other claims arising from information supplied by you to us which is incomplete, incorrect, inaccurate, illegible or late or which arises from your breach of your obligations set out in these Terms and Conditions. 9 Except in respect of death or personal injury caused by our negligence we shall not be liable to you by reason of any representation (unless fraudulent) or any implied warranty condition or other term or any duty at common law or under the express terms of the agreement for any loss of profit or any indirect or consequential loss, damage, costs, expenses which arise out of or in connection with the provision of services, goods and/or materials by us to you. 10 Except in respect of death or personal injury our entire liability in respect of the agreement between us shall not exceed the amount of the price payable by you in respect of the services, goods and/or materials we supply to you under the term’s of the agreement between us or E3000 whichever is the higher. 11 If you require us to provide services in unusual locations or circumstances you will be liable for any damage caused to any of our equipment arising from its use in such unusual locations or circumstances. 12 Unless specifically provided for to the contrary in our quotation, estimate or tender you will be responsible for removing from the site deposits and refuse extracted by us in the course of our work. You also agree to provide at your expense such additional labour and equipment as we may reasonably require in order to enable us to carry out the work. 13 If any provision set out in these Terms and Conditions is held by any competent authority to be invalid or unenforceable in whole or in part, the validity of the other provisions and the remainder of the provisions held invalid shall not be effected.